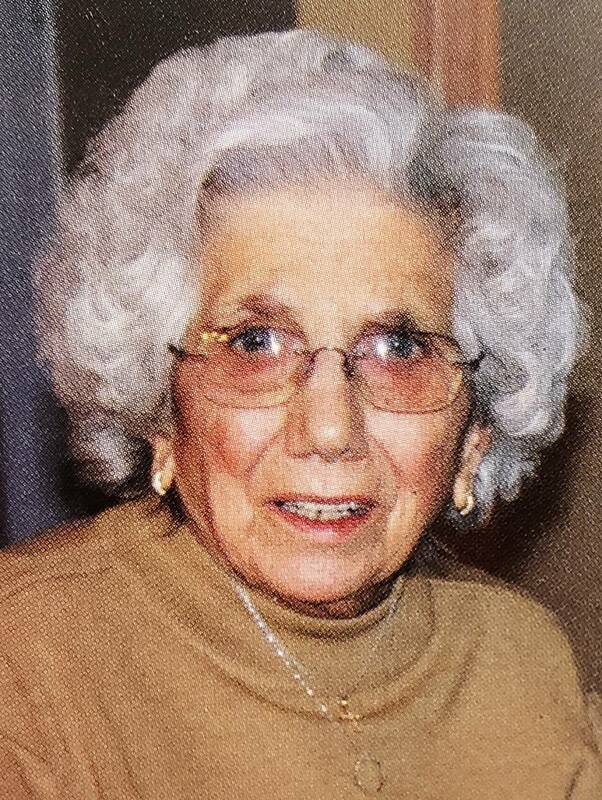 Phyllis DeFrancesco, 99, died on Sunday, February 10, 2019 in the Center For Hospice and Palliative Care in Scotch Plains. Mrs. DeFrancesco was a lifelong resident of South Plainfield. She was a member of Sacred Heart RC Church in South Plainfield and served her family as a homemaker. As a homemaker, Mrs. DeFrancesco loved cooking for family and friends and spending time with her grandchildren. She also enjoyed crocheting as well as attending the South Plainfield Senior Citizen Center and participating in the centers various programs and activities. She is predeceased by her husband James and a daughter Mary Ann Lisewski. Surviving are five children; Rita Doell and her husband Andy of Branchburg, James DeFrancesco and his wife Linda of Fl., Thomas DeFrancesco and his wife Karen of Branchburg, Ronald DeFrancesco and his wife Cathy of Clark and Vincent DeFrancesco and his wife Karen of Ohio; brother, Edward Guiliano and his wife Ann of Fl., 11 grandchildren and 9 great grandchildren. Visitation will be held on Saturday, February 16, 2019 from 4-7PM in the McCriskin – Gustafson Home For Funerals 2425 Plainfield Ave. South Plainfield, NJ 07080. Relatives and friends are invited to attend the funeral mass of Mrs. DeFrancesco’s cremated remains on Tuesday, February 19, 2019 at 11:30AM at Sacred Heart RC Church, South Plainfield, NJ. Following mass, Phyllis’s cremated remains will be laid to rest in her family plot at Hillside Cemetery, Scotch Plains.